Marketing automation for nonprofits is one such opportunity to help bring your marketing strategies to the next level. Generally, nonprofits should advance to an automated system once they're confident in their ability to appeal to a targeted audience and create valuable marketing content for their constituents and supporters. Ready to learn more so that you can take your nonprofit marketing to a whole new level? Let's dive in! 1. Marketing automation helps nonprofits to plan ahead. In order to use automation marketing techniques effectively to plan ahead for your nonprofit, you should already feel comfortable and confident in your ability to target a particular audience with your marketing materials. Marketing automation for nonprofits helps to further specialize and target your key audiences with the best marketing materials through list segmentation. When you have the ability to segment donors based on characteristics, you can draft marketing materials ahead of time and schedule them to be sent out to those segments at the optimal time. Create lists of donors based on donor type, demographic markers, networking flags, and more. 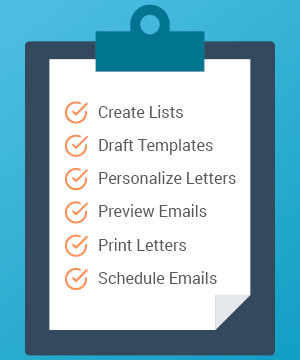 Draft templates and save them for emails or direct mail letters for each list. Personalize each letter or email by automatically populating the donor's name in the heading. Preview emails on a screen for desktop, tablet, and mobile to ensure a good user experience. Print letters and letter headings for easy envelope stuffing and mailing. Schedule emails to be sent at specific times for the optimal open rate. Salsa CRM works with Salsa Engage to give you the power to store comprehensive supporter profiles and create donor lists according to characteristics saved in the donor database. You can customize outreach templates to personalize the content and optimize your marketing strategy. 2. Nonprofits can trigger email series with marketing automation tools. Email series are used to encourage supporters to complete a specific goal through effective marketing outreach. Automatically triggering these emails in response to a particular action eases the manual marketing process while stewarding that particular supporter toward the goal. For example, a supporter might enter the series by signing a petition or signing up for an email newsletter. Then, they will receive regular emails until they complete the goal that the nonprofit has in mind: completing a donation, for instance. The tricky part about this marketing technique is ensuring that you produce just enough content to steward your donors and keep your organization at the forefront of your donors' minds. If you create too much content, you may lose the relevancy, usefulness, and inspiration of the content, causing donors to lose interest. Remember that your donors aren't you. You live and breathe your cause, but your donors don't necessarily do that. You need to convince them of a cause that you whole-heartedly believe in. Put yourself in their shoes when you draft emails. Emphasize your call-to-action. The action that you want your supporters to complete should be incredibly clear. Try including a button with colors that pop to capture their attention. Then use direct language to tell the supporter exactly what you want, such as, "Donate now!" or "Give today!" Measure success rates. We can't give you a definite answer about how often you should send mailings. However, when you measure the success rates for your mailing strategy, you can adjust it as needed to meet the unique needs of your nonprofit. As soon as someone completes the action you're looking for, you should take them off the email series and be sure to thank them right away. Set up an automatic recognition email to show your appreciation for the contribution they made to your organization. Marketing automation through Salsa Engage makes it easy for you to set up triggers for sign-up forms and other actions. Then you can set the series drop conditions and the order and delivery cadence of the emails you send. 3. Lead captures are streamlined with marketing automation for nonprofits. Marketing automation for nonprofits is not only about automating the outgoing content to your supporters, but also about automating the incoming information to your nonprofit CRM. Automate the flow of information from your lead capture forms to streamline the upload of information into your donor database. Signs up for your nonprofit's email subscription list. 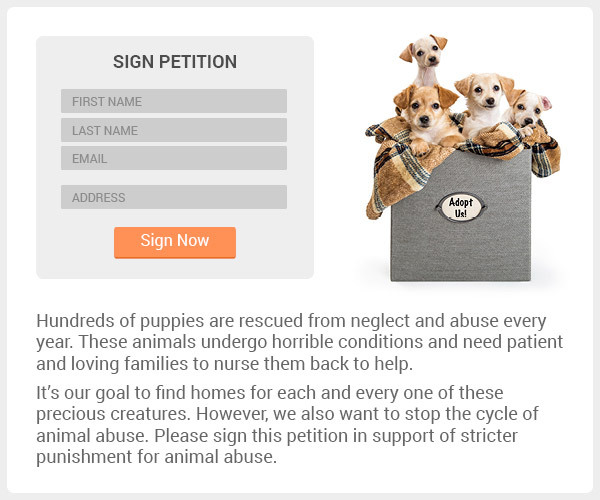 Signs an online petition for your cause. Enters their email for a downloadable resource. Participates in a targeted action for your nonprofit's advocacy campaign. These lead captures do exactly what they say: they lead your supporter to develop a relationship with your organization. These forms begin a profile in your CRM that will continuously expand as you interact with the supporter more and more. Eventually, these supporters may become recurring donors or maybe even major donors! Maintain their engagement with your organization with frequent communications, regular newsletters, event invitations, and donation asks. Stewardship techniques are key to establish and develop relationships with your donors. But it all starts with that initial signal of interest, which is why lead captures are so important. Streamlining the information from these lead captures helps you dive right into establishing the relationship without keeping them waiting. With Salsa CRM, the form builders you create through Salsa Engage automatically drive the information into your database. This expands your lists of supporters and allows for easy transfer of information. 4. Social media marketing automation for nonprofits boosts supporter actions. Improving and automating your nonprofit's use of social media helps extend the reach of your nonprofit from email alone to include other platforms. 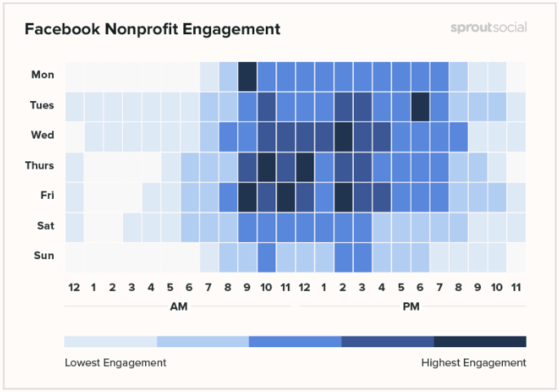 With the best marketing automation software for nonprofits, you can use effective social media tools to schedule posts to be published ahead of time. For example, if your nonprofit is launching an advocacy campaign, you can schedule social media posts announcing new targeted action opportunities to launch at the same time as your action alert email. As stated earlier, this expands the reach of your outgoing content. Email and social media are both used consistently by audiences of all ages. Getting the word out about opportunities at your nonprofit through both platforms will benefit your organization. Social media pages have optimal times to post to reach the widest audience. For instance, post on Facebook around 2 p.m. on Wednesdays for the best engagement. Scheduling posts ensures that you hit these effective times. Be sure it's obvious what you want your audience to do when they read the post that you draft. Include a direct call-to-action for your supporter. This direct language leading a wide audience to the action you want completed will result in a higher rate of goals completed. Salsa Engage makes it easy for your nonprofit to schedule outgoing social media posts from a single easy-to-use platform. Customize the language you use to appeal to the needs of each platform and make sure you hit your target audience with a timely, well-written appeal. Marketing automation for nonprofits is not designed to complete your marketing outreach for your organization. However, it can boost the efforts of an already effective marketing strategy. Your nonprofit can plan ahead by segmenting donor lists, drafting appeals ahead of time, and personalizing the communications that you send out. Automating these tasks helps you appeal to more supporters quickly and easily, leaving more time for other nonprofit efforts. Marketing automation helps nonprofits trigger email series to complete more actions, such as completing more donations. You can draft these emails ahead of time, use actions to trigger the series, and set a drop-out point at which people will be dropped from the list. Marketing automation helps your nonprofit streamline lead captures by automatically uploading the information entered on any form into your donor database. Finally, your nonprofit can improve your social media presence by scheduling the posting of your social media content for optimal timing. This extends the reach of your communications to reach a wider audience and complete more of your goals.